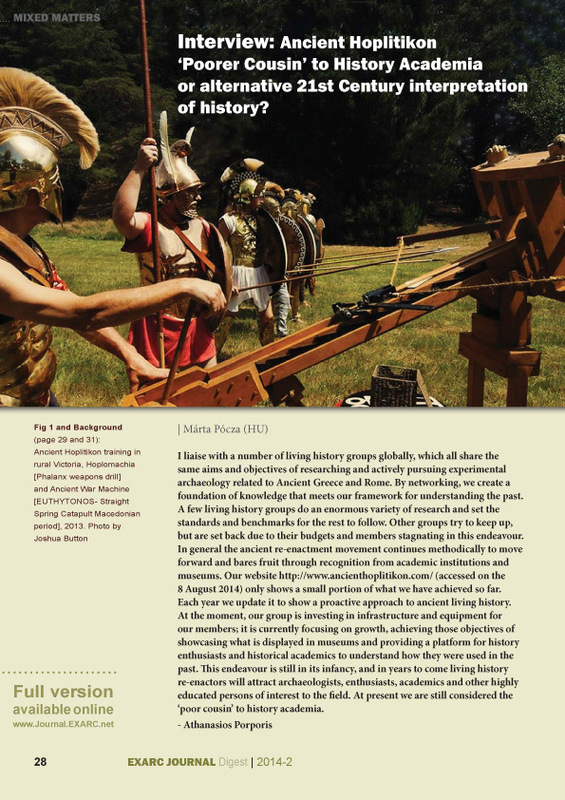 The hard copy EXARC JOURNAL Digest issue 2, offers the "best of" all our articles from 2014. 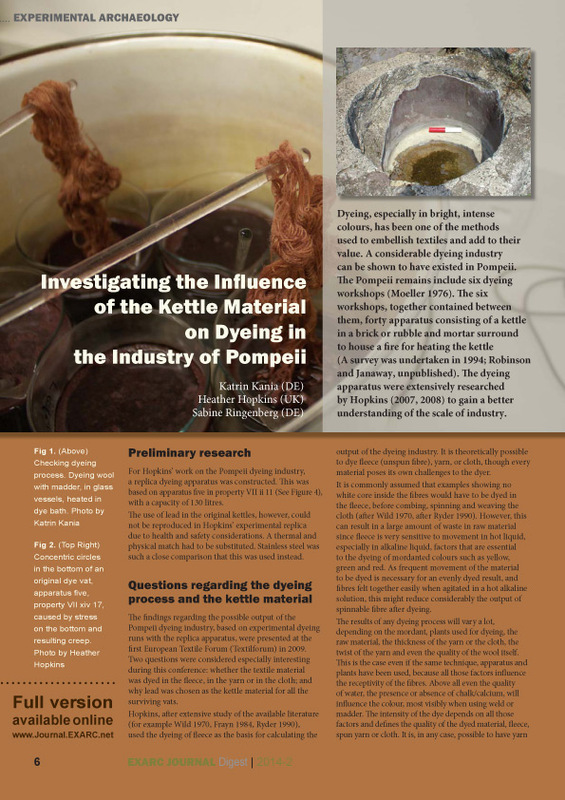 The article, Investigating the Influence of the Kettle Material on Dyeing in the Industry of Pompeii, by Katrin Kania, Heather Hopkins and Sabine Ringenberg presents the results of experiments concerning the importance of metal used to manufacture dyeing kettles in Pompeii. 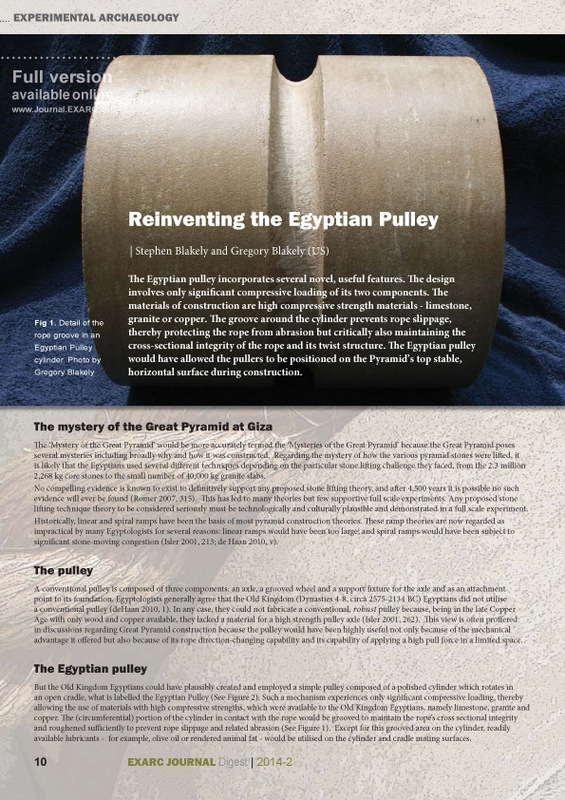 Reinventing the Egyptian Pulley, by Stephen Blakely and Gregory Blakely, proposes a possible solution to moving heavy stone blocks in the building of pyramids. They propose a theoretical Egyptian pulley and test it practically, both in prototype and full scale. Every summer in Hungary a five-day international Iron Smelting Camp takes place. Participants burn charcoal, collect bog iron, smelt it and forge iron products. 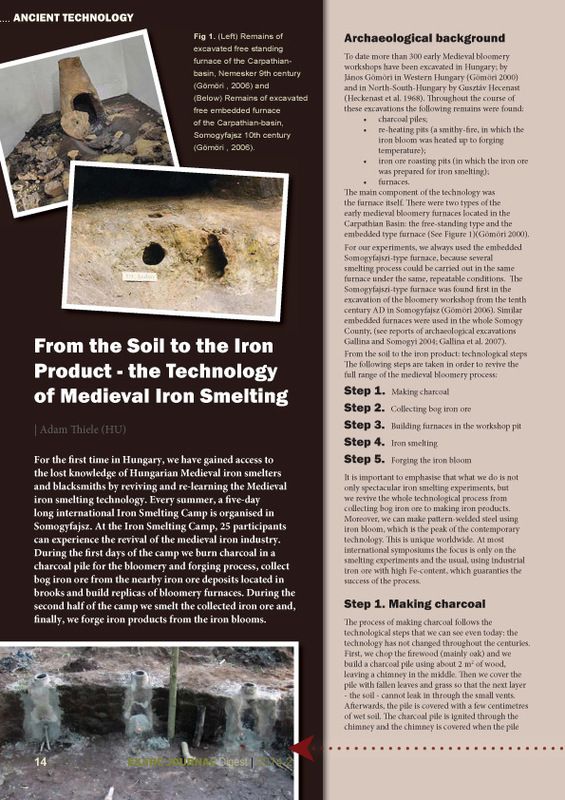 You can read about the camp in From the Soil to the Iron Product - the Technology of Medieval Iron Smelting, by Adam Thiele. Is first- and third person interpretation acting? Ashlee Beattie gives her answer in her article Interpreting the Interpreter. 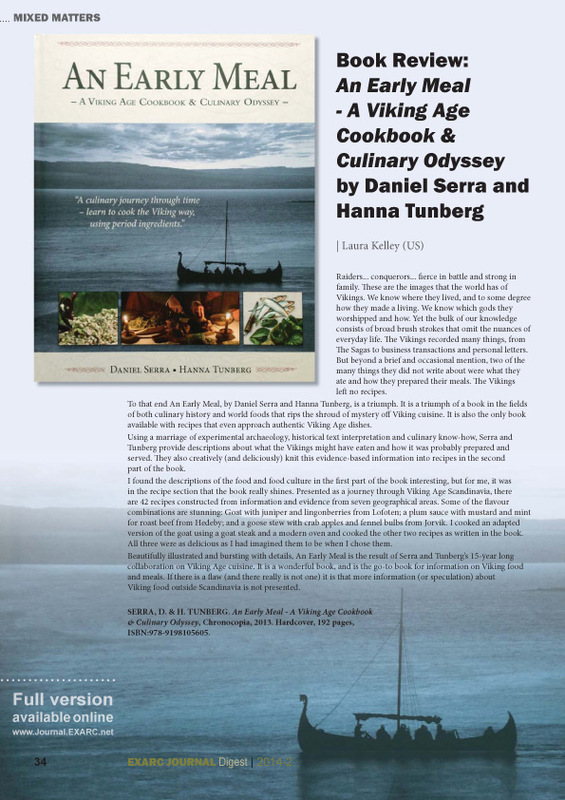 How accurate can re-enactment be? 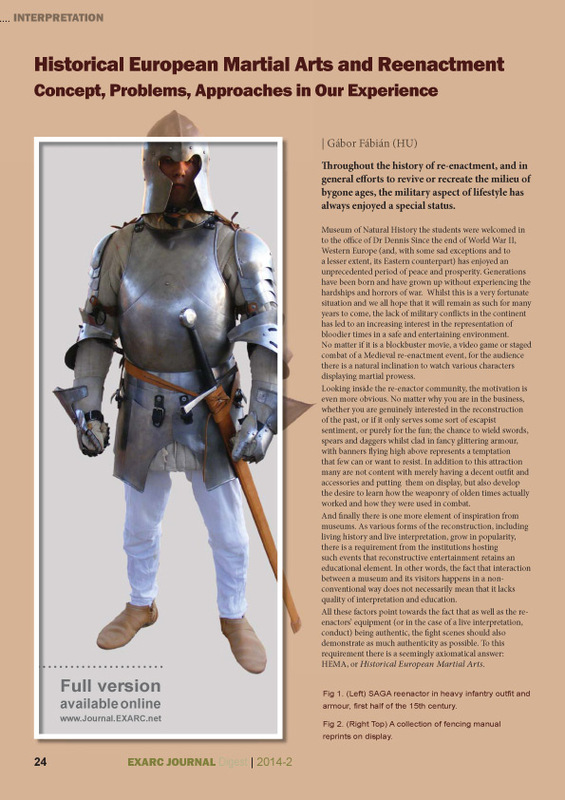 Gábor Fabián shares the experiences of ‘Schola Artis Gladii et Armorum’ in his article, Historical European Martial Arts and Reenactment - Concept, Problems, Approaches in Our Experience.